Every year between late November and early January, the Niagara River strait is host to a gull migration that is almost unprecedented anywhere else on earth. During this time as many as 19 species of gulls have been observed here. This biodiversity of gull species is rare and unusual. For instance, the entire continent of Australia has only six observed species year round. The Bonaparte’s gull (Chroicocephalus Philadelphia), shown in this video, can nest as far away as breeding territories in the boreal forests of North America’s West Coast, from the northern Pacific coast of the US to Alaska. They are headed, generally speaking, to East Coast oceanic overwintering territories. They are the only gull species known to nest in trees. 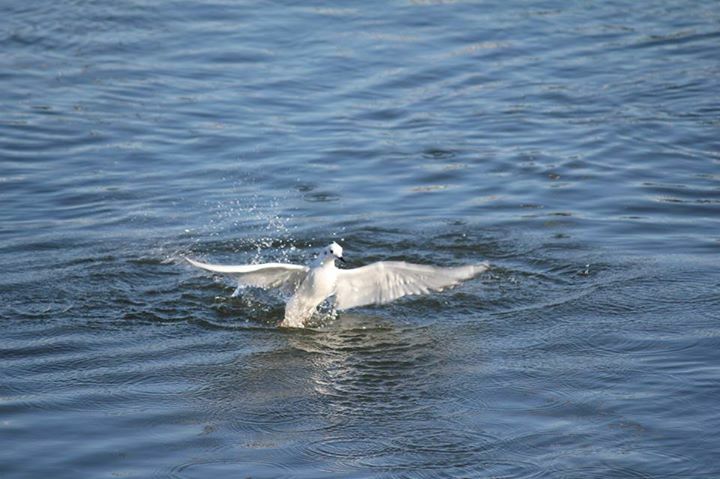 This bird is a small, slender gull that flies gracefully and acrobatically. Adult plumage includes a black head hood. The migrating birds are not in this plumage and have a whitish head, sometimes a black dot behind the eye. During migration great numbers of these gulls can be found feeding and socializing as they seek out boils of Niagara River fish such as the possibly vanishing Emerald Shiner. They are fun and exciting to watch, easy to find, and provide hours of entertainment. Feeding activity includes diving from high above, entering the water and swimming and chasing prey underwater. During migration season as many as 20-40 percent of the global population of Bonaparte’s gulls may be found here, making the Niagara River and the surrounding corridor a powerful link to the survival of this species. Ongoing development is a threat to these birds. This is a great time of the year to go birdwatching. Besides the huge populations and diverse species of gulls on the river, massive populations of waterfowl of many species including ducks, geese, and swans are now arriving for the winter. The Niagara is a traditional wintering area for these many species of northern birds as this is often the first open water that the birds find as they head for winter territories. For more on the annual gull migration and a list of species of gulls that can be found on the Niagara River during this migration, click here.